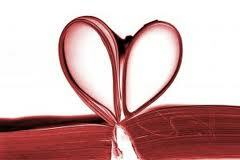 Today, I’d like to talk about falling in love…with a book. It’s so easy to do. You see the book’s nice, shiny cover. Your fingers lightly stroke the pages. The anticipation of something you’ve been waiting for perhaps for months or years. Then, you read the first page, and you’re hooked. By the end, the book is well-loved and worn. Oops! A coffee stain there. A bent page, but you had fun, even during the hard times when you wanted to throw the book at the wall. The mixed emotions are what’s wonderful about reading. You may love or hate something a character does, but it keeps you coming back for more. Book love can be torture. It can be pure bliss. And, after you finish it, it’s always there for you (unless you’re just borrowing your love from someone else). If something happens, and the book falls apart, you can also get a new one. There are many books out there in the world. So, what books have you fallen in love with lately? Great post! I fall in love with books all the time. They disappoint and excite me, but I always go back for more. I certainly fall in love with books. The last big one was Pillars of the Earth. I have fallen in love with so many books! The latest one is Shadowfever by Karen Marie Moning. Great ending to her Fever series.